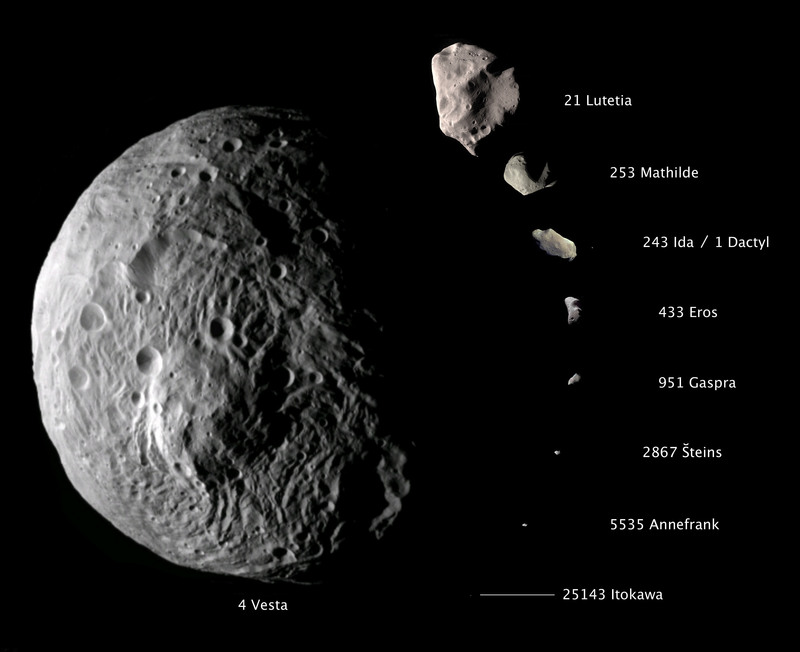 Vesta is the second most massive body in the asteroid belt, surpassed only by Ceres, which is classified as a dwarf planet. The brightest asteroid in the sky, Vesta is occasionally visible from Earth with the naked eye. It is the first asteroid to be visited by a spacecraft. The Dawn mission orbited Vesta in 2011, providing new insights into this rocky world. Olbers reasoned that the fragments of such a planet would intersect at the point of the explosion, and again in the orbit directly opposite. He observed these two areas nightly, and on March 29, 1807, discovered Vesta, becoming the first person to discover two asteroids. After measuring several nights’ worth of observations, Olbers sent his calculations to mathematician Carl Friedrich Gauss, who remarkably computed the orbit of Pallas in only 10 hours. As such, he was given the honor of naming the new body. He chose the name Vesta, goddess of the hearth, and sister to Ceres.